I have a lot of experience studying and teaching physics, math, and computer science. I have a physics degree from MIT, and I'm in my 4th year of my computer science PhD at the University of Illinois. I've taught summer courses to high school students about theoretical computer science, digital electronics, and microbiology. In addition, I have taught as a computer science teaching assistant in the course of my PhD. I'd be happy to help you learn and get better at middle school and high school level math, college-level math for engineering (calculus, linear algebra, statistics, probability, etc. ), and high school and college level physics. I can also help students of any age and programming ability learn to become better, more confident coders, whether you're just starting out or have a few courses under your belt and are looking to program at a higher level, possibly for a job or for school. Rate details: Let me know by 1 hour before the start time, otherwise there will be a 1/2 hour cancellation fee. I have 5+ years of experience writing C++ in academia and in industry. This includes network coding, embedded programming, high performance computing, and bioinformatics applications. I can help you learn to write fast, readable code and work successfully in a group environment. I have 5+ years of experience programming in academia and in industry. This includes network coding, embedded programming, scientific computing, high performance computing, and bioinformatics applications. I can help you learn to write fast, readable code and work successfully in a group environment. 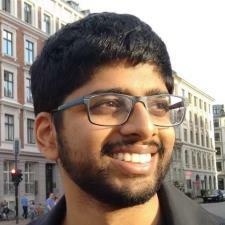 I am a PhD candidate in computer science at the University of Illinois, and in the past I have studied computer science at Princeton and MIT. I have extensive experience in both industry and academia. My research focuses on large-scale bioinformatics, and I can help you with algorithms and data structures, general programming, machine learning, and a lot more. I have 5+ years of experience writing Python in academia and in industry. This includes network coding, scientific computing, statistics, and bioinformatics applications. I can help you learn to write fast, readable code and work successfully in a group environment. I have over 15 years of experience using UNIX as a development environment, desktop environment, and production deployment environment. I can help you learn basic UNIX commands and navigate using the terminal. If you already have some experience and are trying to "level up", I can help you with more advanced scripting, as well as integration into larger software infrastructures. I am a PhD student studying computer science and evolutionary biology. I have experience in high school and introductory college level biology courses. I have a bachelor's degree in physics from MIT, where I focused on computational physics, especially as applied to quantum field theory and lattice quantum chromodynamics. I've helped a number of people in high school and intro college level physics courses, and I can make sure you have the confidence to succeed in your physics classes. Pranjal is very patient and does not just feed you answer, but rather explain the thought process and inspire you to push yourself learn the real coding. He also explain the final answer clearly and very resourceful when we encounter technical issue. I really enjoyed his lesson and found it very effective for my study! Thanks to him I've been doing much better on exams and homework. I feel like I have a better understanding of my course material every time we work together. I took several tutoring sessions with Pranjal for Machine Learning course and I was very satisfied. He is knowledgeable, to the point, and did not waste any time teaching me what he knew. I would certainly recommend him to anyone that is looking for a knowledgeable and dedicated tutor. Pranjal is a very accommodating, knowledgeable and patient tutor. I am a HS student and taking Java AP. He helped me understand the concepts in Java especially programming techniques. He went over Recursion with examples. He made himself available at a very short notice. I highly recommend Pranjal for any tutoring needs. Pranjal is taking my son to the next level in math! DS is very advanced for his age, but writing problems correctly are a challenge because he is used to doing things mostly in his head and not explain them to others. Pranjal is showing amazing patience and flexibility, and we hope to have him as a tutor for quite a while! Pranjal helped with a clustering analysis using python and NLTK. He is very knowledgeable and takes his time to explain complex concepts. I was able to successfully write a script that generated a clustering dendogram with valuable insights. Pranjal clarified confusing machine learning theories in a way that was accessible and practical. Furthermore, he is incredibly patient and takes the time to truly ensure that the student has grasped the concept. Paranjal is very patient and efficiently helped me to slove my problems with a very ligical thinking guiding. Highly recommend! Taught me the fundamentals about System Calls in Linux. It was extremely helpful. He really knew what he was talking about but was also patient with me. Cognizant of the fact that he had to take it slow.